Sylvanian Families, the collectible toy brand owned by Epoch, is creating the world's smallest fashion show. 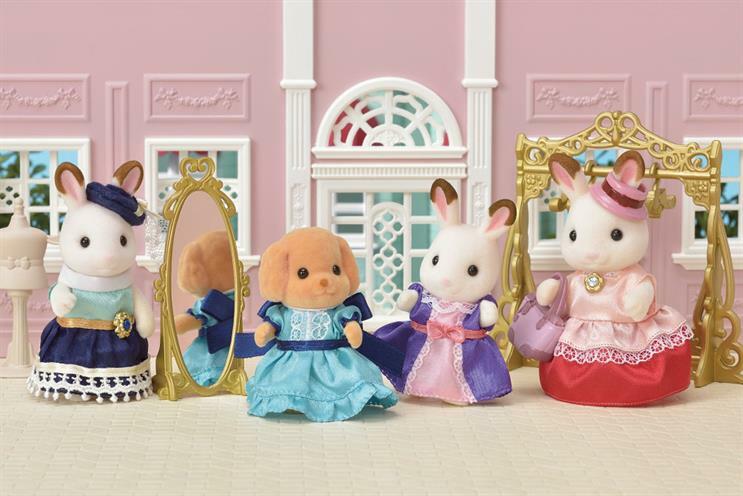 The activation will show Sylvanian Families figures – measuring 9.5cm tall – modelling 40 "petite haute couture" items. The outfits have been handmade by Epoch’s designers in Japan and will be presented as the debut spring summer collection of main character "Stella the fashion designer". There will be child look-alikes of Anna Wintour, The Queen and Karl Lagerfeld featured on the front row. The activation will launch today as part of a window display at Hamleys in London's Regent Street and will tour Intu shopping centres around the UK in April. The touring experience will also have a themed selfie corner, craft activities and a competition to become Stella’s intern by designing a dress for her next collection. The campaign has been created by Mad River and Highlight PR. It will be supported with a TV ad, and digital marketing. Yuki Otsuka, marketing manager at Epoch making toys, said: "This is the largest product launch in the history of Sylvanian Families, so we wanted to create maximum awareness not just among our core customer base but also within a broader target audience to attract the next generation of fans. "We’ve therefore designed an integrated campaign across multiple channels, and we hope our unique miniature catwalk will be an exciting element, from a PR, experiential and consumer engagement perspective. "As a fashion-lover myself, I’m amazed by the details of the tiny, couture outfits within Stella’s collection – I’m sure everyone is going to love them too."